Plastic top and KYDZTuff® finish provide safe surfaces that stand up to rigorous cleaning. Lockable, glide-out stairs with safety treads. Easy to fill pull-out paper dispenser (paper not included). 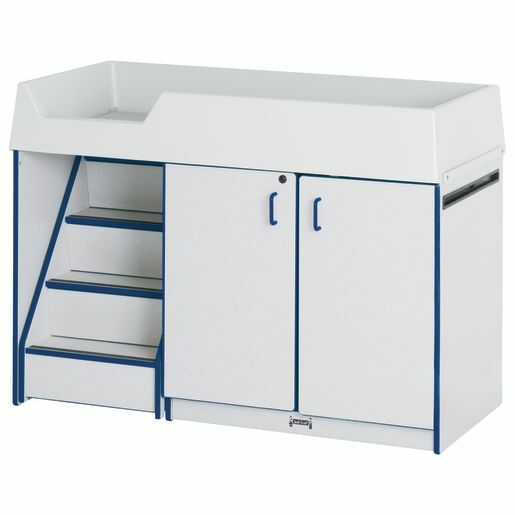 Depot includes changing pad and ten clear cubbie trays, which can be secured behind KYDZhinged® doors.